High school homeschooling may seem to some like a recipe for insanity, but when you look at what homeschooling high school students is really like, you may find it a lot less scary than you may have originally thought. Teenagers can focus more on work that will give them a great chance of making it into a desired college or career field. You have more flexibility to aim coursework, work experience, and field trips toward your teenager’s individual interests. Parents have more control over the influences on a teenager. The high school child is not on their own, away from parents, most of the day during the week. They spend more time at home and parents can monitor them better. Teenagers do not have to worry as much about peer pressure or negative influences. They will still have a social life, but they won’t be around friends as often to feel pressured. Many teenagers feel more comfortable learning at home than they would through a public school. Teenagers can take their studies at their own pace. They are not left behind in subjects they struggle with and they don’t have to wait on other students in subjects they excel at. Teenagers who are homeschooled can still have an active social life. They can still participate in driver’s education and other experiences that all teenagers look forward to experiencing. In some cases they may still attend prom and other celebrations at local high schools with friends that go to those schools or with a local homeschooling group. They just have a more relaxing environment to study in with greater control of how they prepare for college and a future career. The biggest concern many parents have about homeschooling high school students is that they won’t be able to keep their teenager motivated to work hard. Teenagers are easily distracted and some can be quite lazy with the overflow of hormones and other physical changes they experience at this age. Will you be able to keep them in line with their studies or will they easily fall behind? No parent wants to fight with their teenager all the time. Most parents will do their fair share of motivating and disciplining their teenager, but when they are home all the time and it is also the parent’s job to keep them on track with their education it seems like there would be a lot more headache to endure. 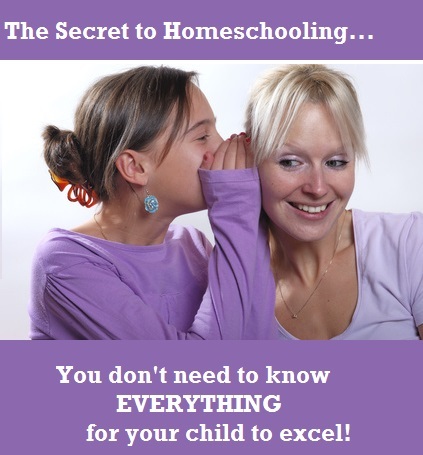 The truth is many parents of homeschooled teenagers find that it is less of a problem than they thought it would be. As long as the rules are set up right from the start and the teenager is very clear on what they must get done before they can hang out with friends or do other fun things, there is often very little argument. Teenagers will do what they are expected to do in order to keep their privileges to a social life. It becomes a tradeoff that strengthens the trusting bond between child and parents. The key to high school homeschooling is to set the rules out clearly right from the start. Also, the more input the teenager has in their educational pursuits the more self-motivation they will have to keep on top of their studies. What If I Don’t Know it All? This is a big question that comes from every parent that considers high school homeschooling. They are worried that they won’t understand the coursework their teenager is learning, which means there will be no one to help the student understand lessons. The underlying worry here is that the parent’s lack of knowledge will lead to the teenager failing. Here’s the insider secret: most of the coursework explored at the high school level is in-depth and can easily be individualized. You don’t have to know it all because your child will be able to self-guide themselves and learn as they go. You also have the Internet at your fingertips for textbook knowledge that you need to understand a little better. 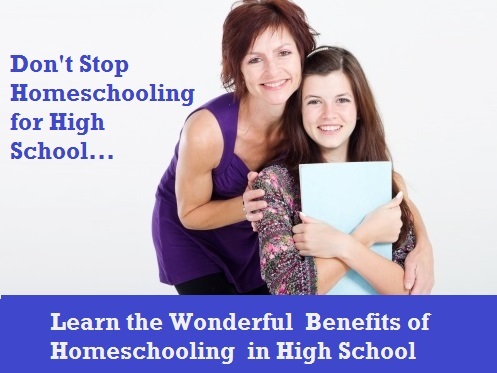 High school homeschooling is very different from homeschooling in lower grades. You are no longer dealing with a small child who depends entirely on the teacher for knowledge and understanding. Teenagers have more complex thinking abilities, can be taught research skills, and have the ability to learn from books and projects on their own. In the case a teenager does need more guidance which the parent cannot provide, there are local homeschooling groups and local study groups they can join. There are also online resources and organizations that can give parents access to educational tools that will solve these problems. In some ways, a homeschooled high school teenager will end up smarter than their parents. They will grasp tons of knowledge on their own, without and direct teaching from the parent. They will also work with friends to learn a lot of the more complicated material that parents cannot help with. You probably don’t want to think about this part, but your teenager can grow up a lot through the homeschooling experience. They are given the opportunity to plan their future career and they are able to think independently and work through complex problem solving with only light guidance from peers, groups and parents. These are valuable skills that will pay off when they leave home for the adult world. When you consider the amount of direct teaching that goes into homeschooling in high school versus homeschooling in the younger years, high school homeschooling is actually a lot easier. The higher intellect and independent thinking of a teenager makes all the difference to lighten the load on the parent.